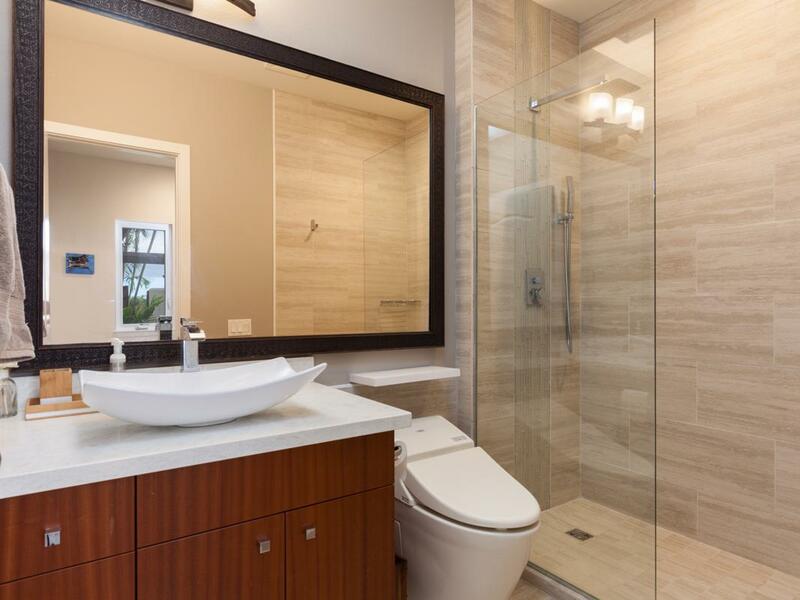 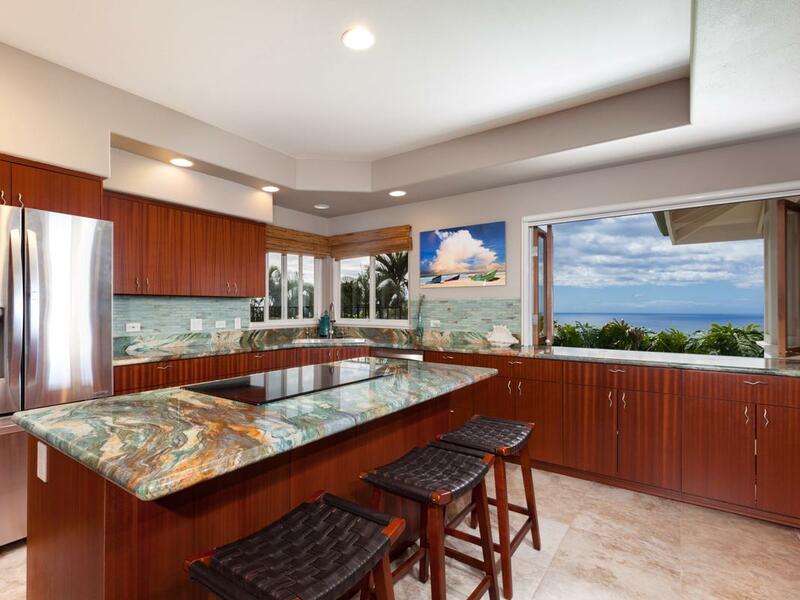 Enjoy gorgeous panoramic ocean and sunset views from this stylish residence located in the desirable and upscale neighborhood of Iolani. 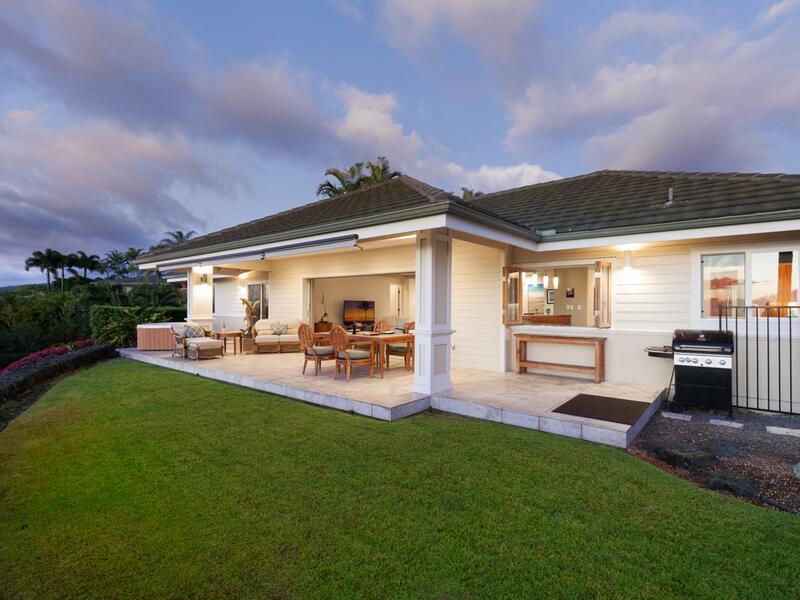 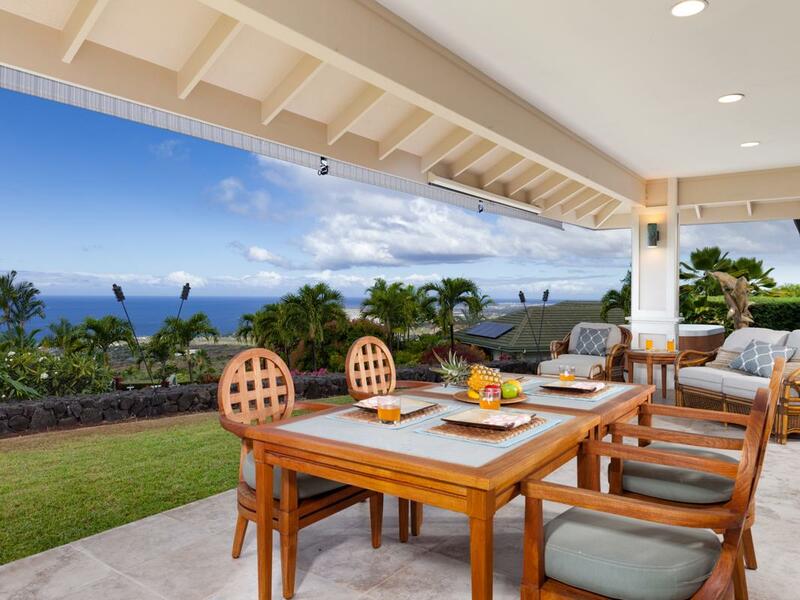 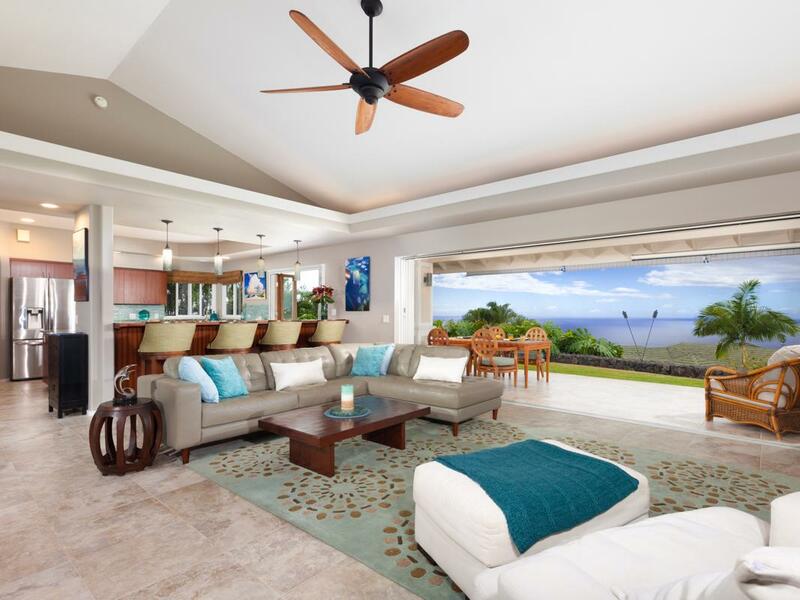 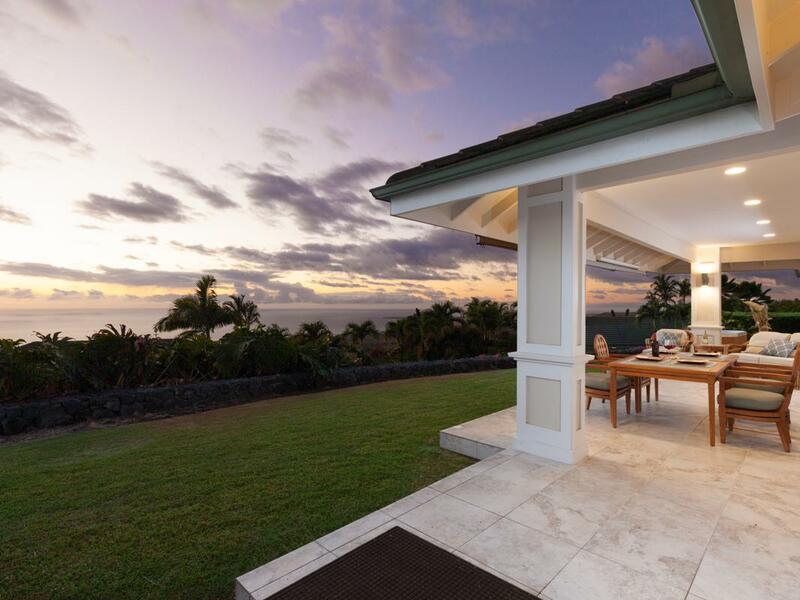 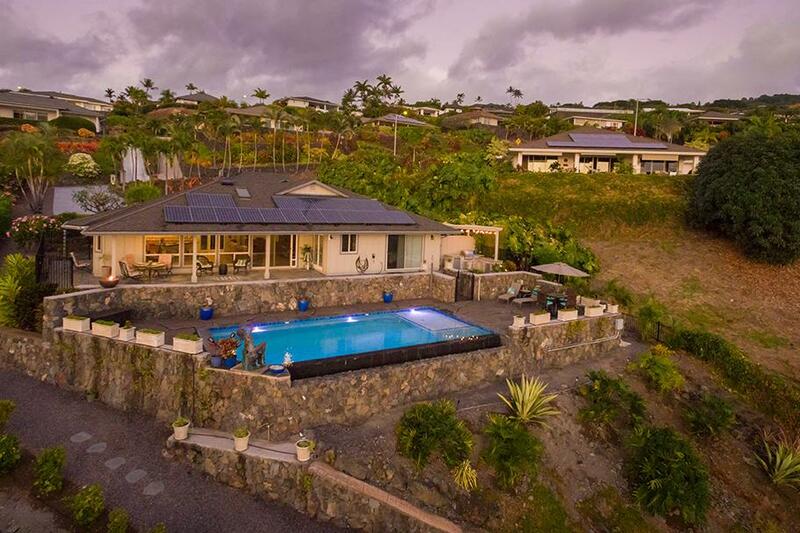 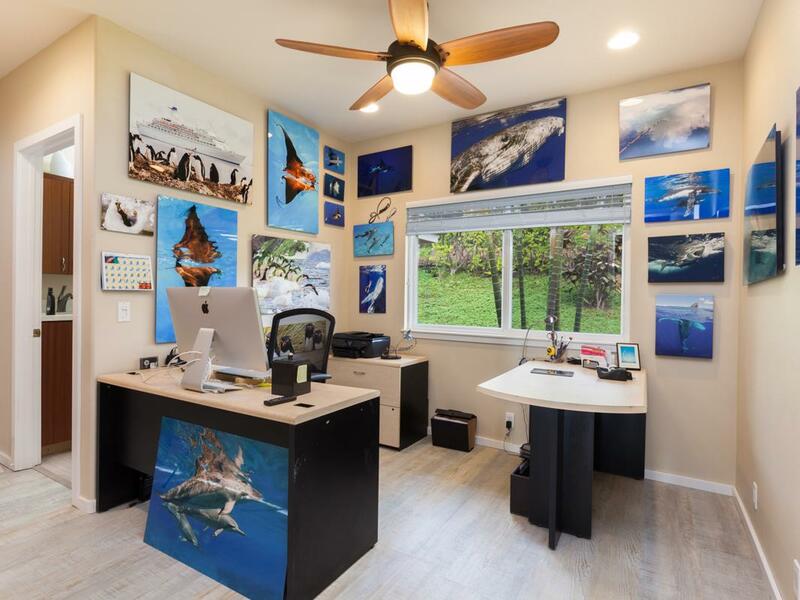 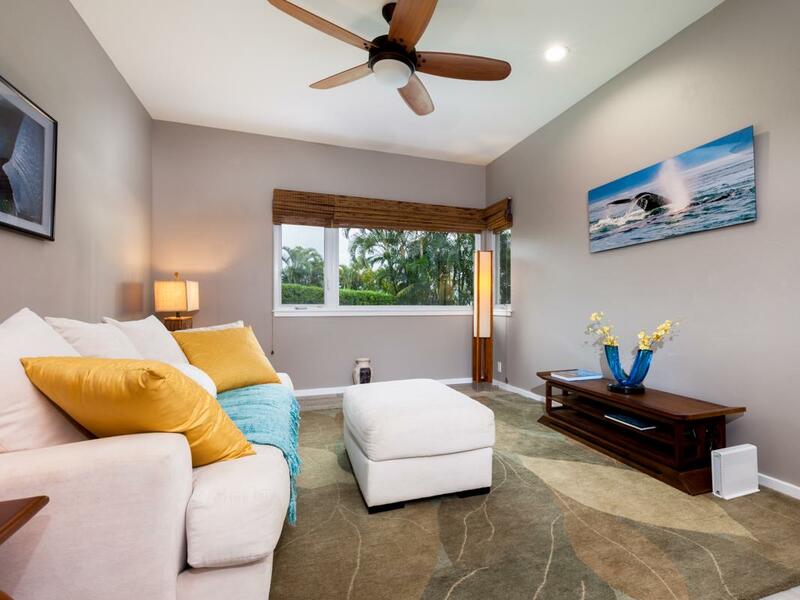 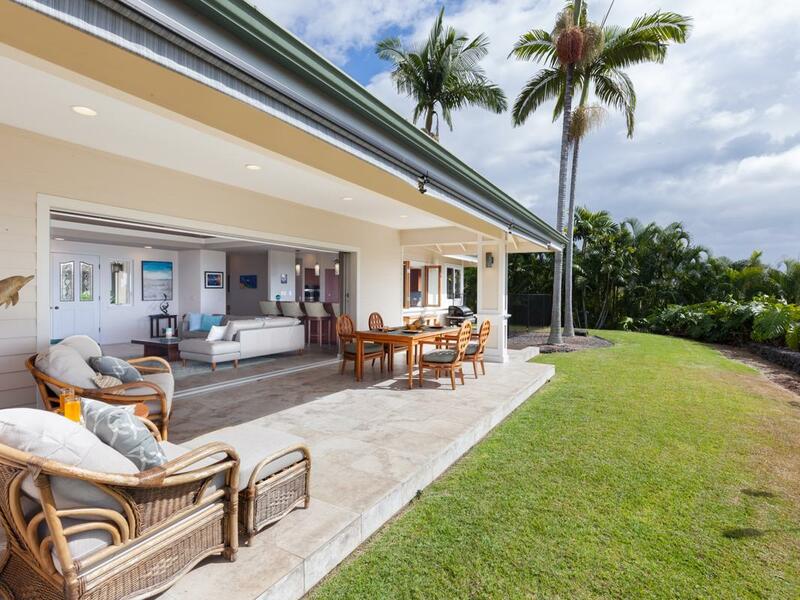 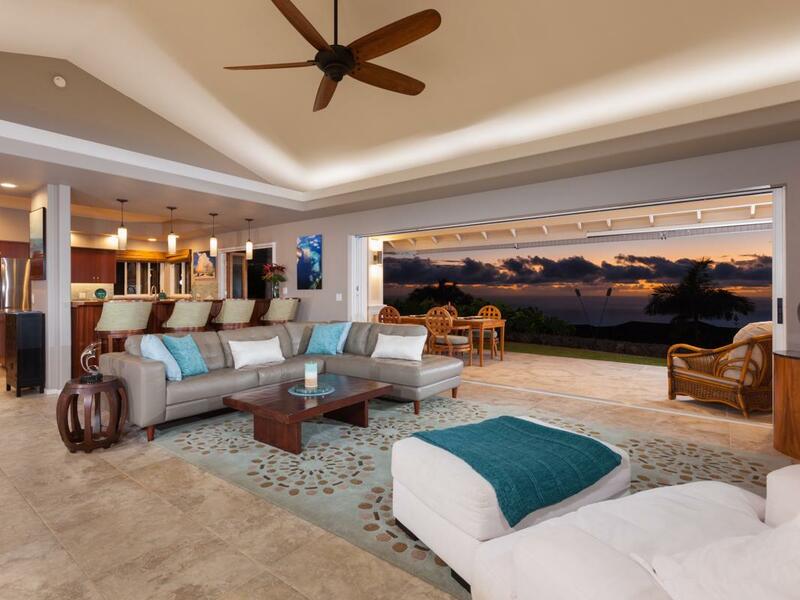 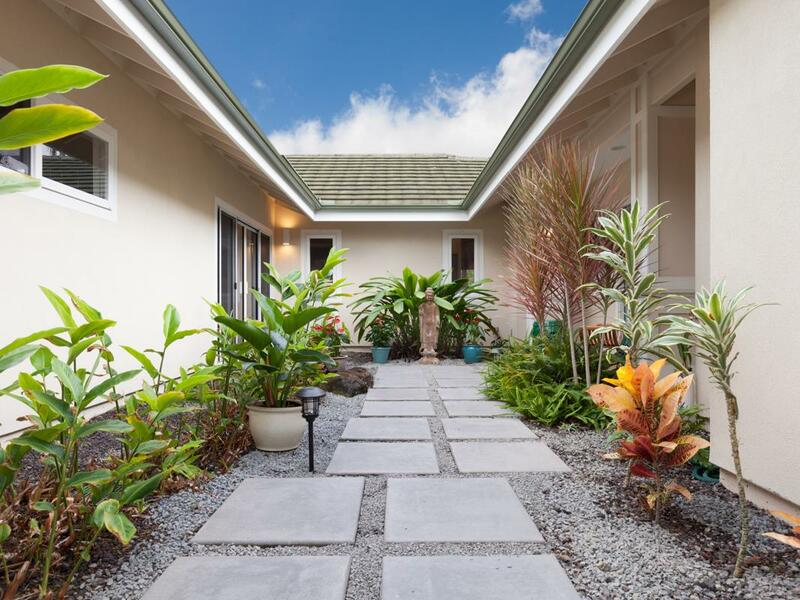 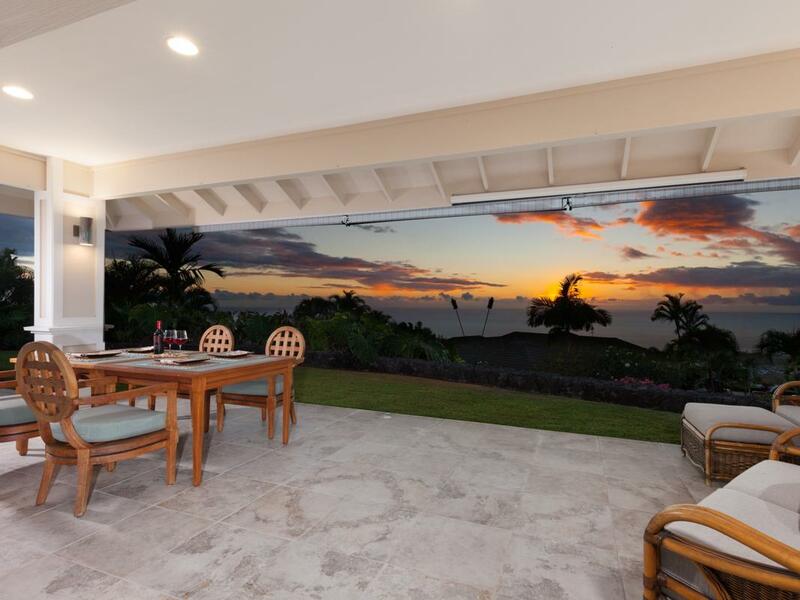 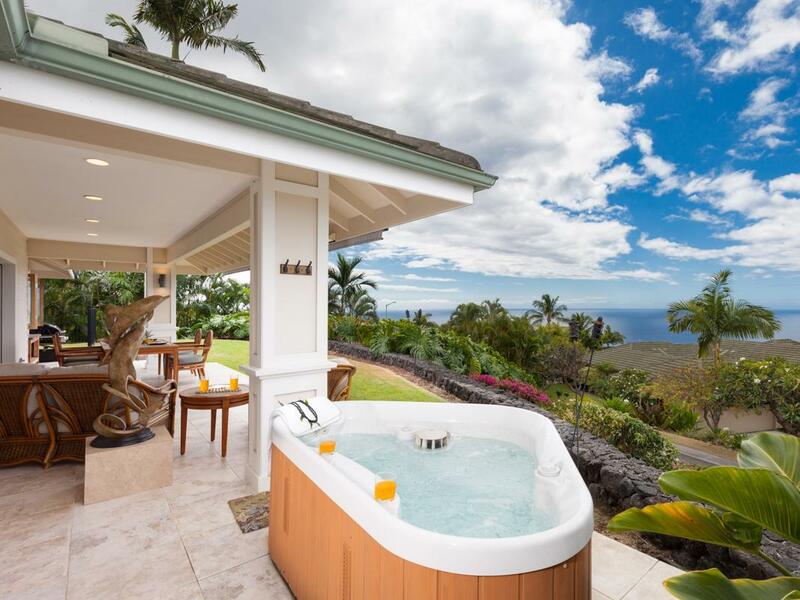 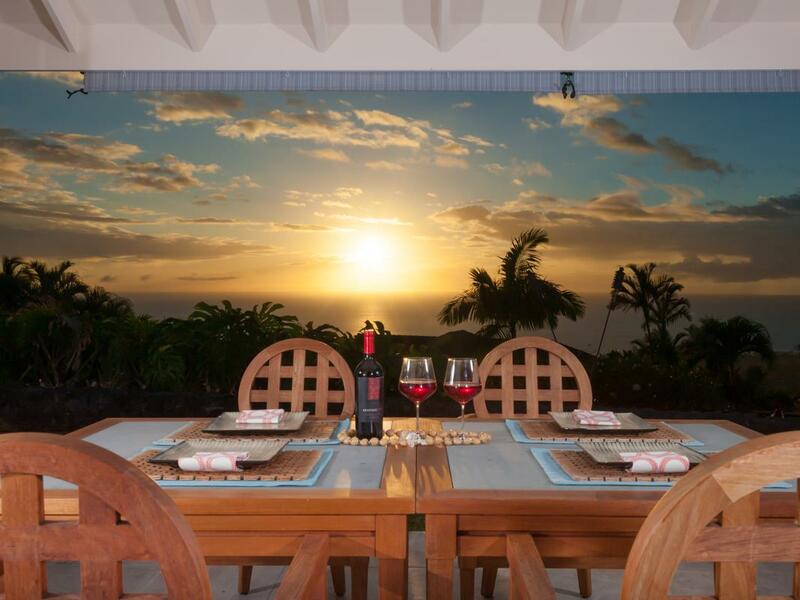 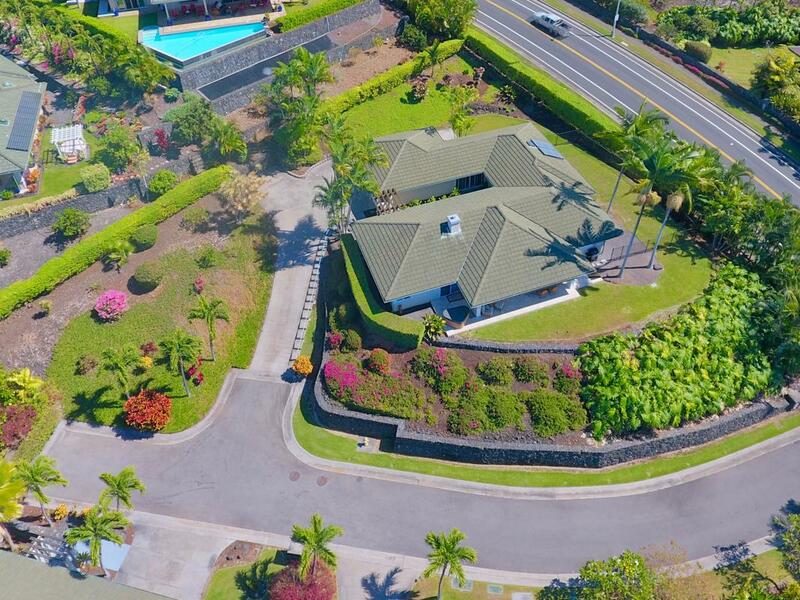 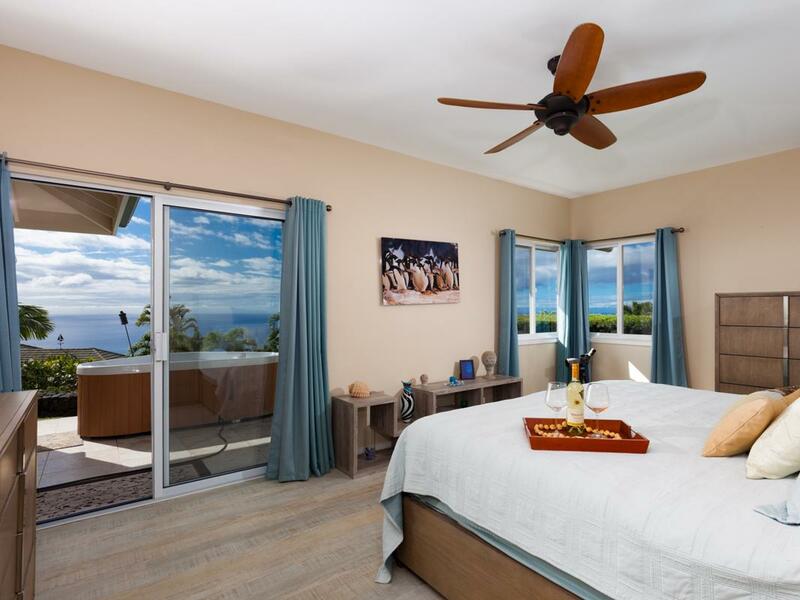 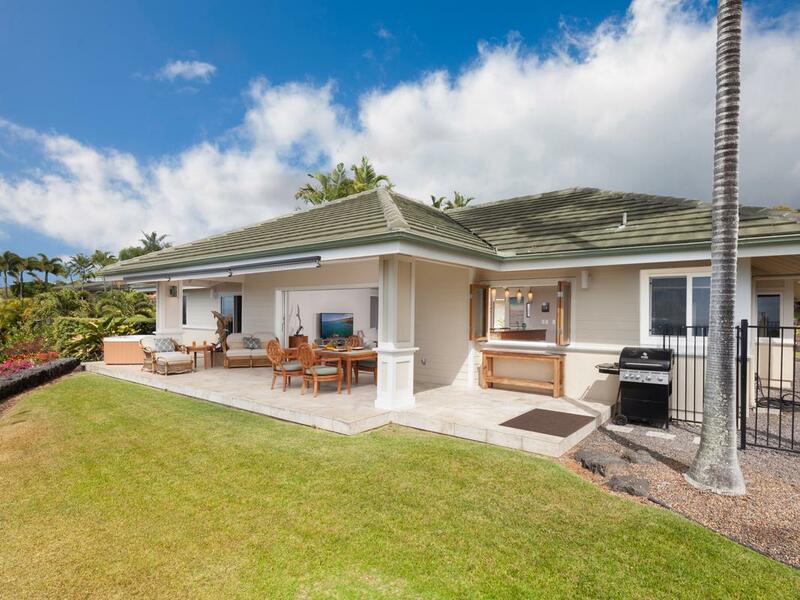 This home offers commanding ocean views from Kailua Bay to Keauhou, situated at a comfortable elevation of approximately 850 ft. to enjoy an ideal climate and Hawaii breezes. 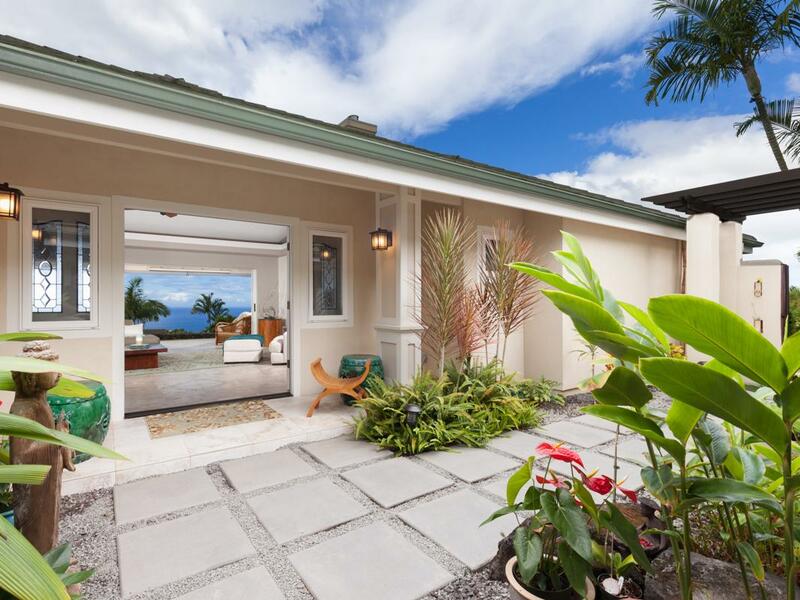 A private wooden gate welcomes you into the tropical courtyard and entrance to the home. 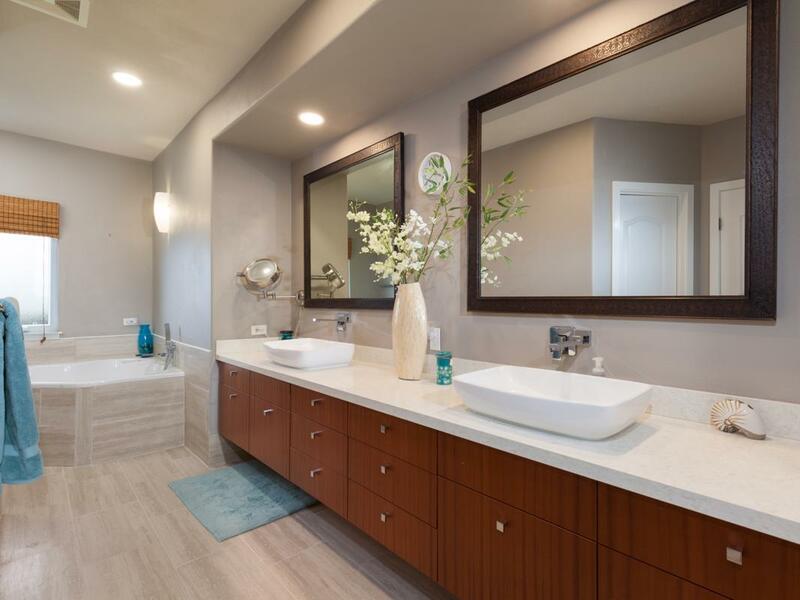 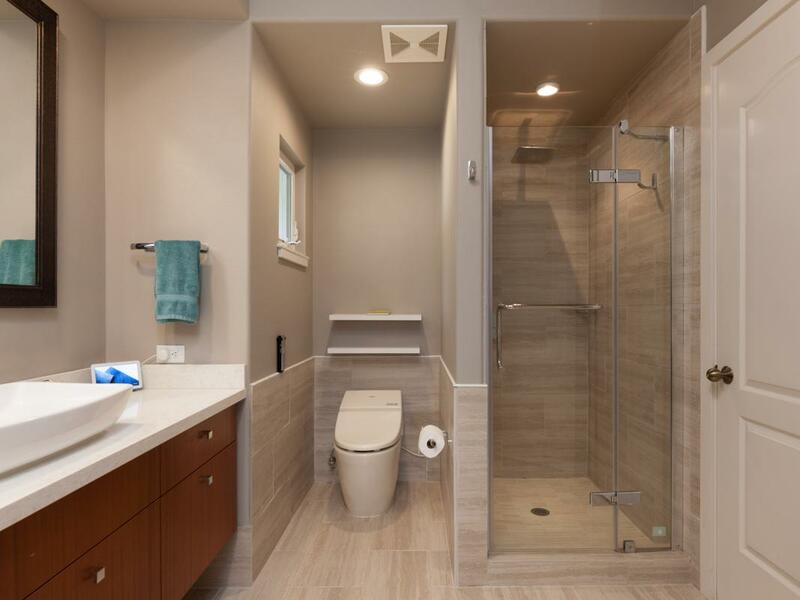 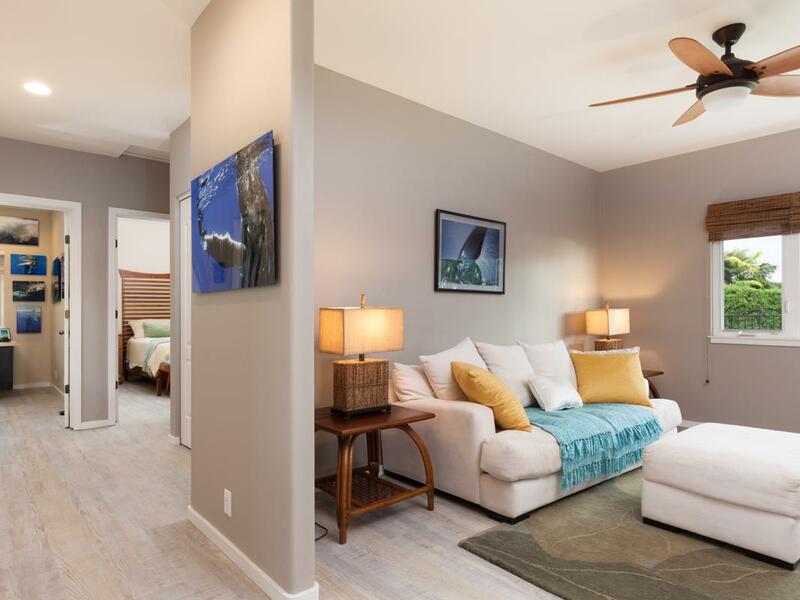 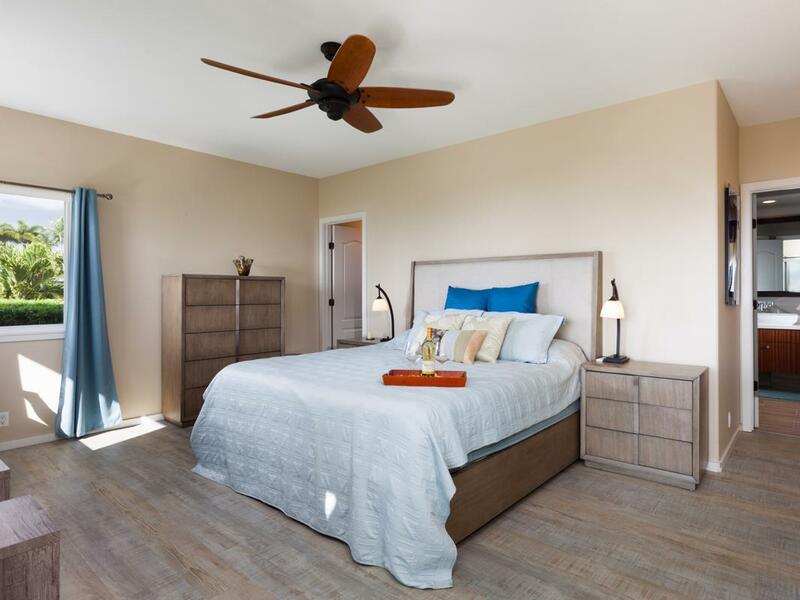 The floorplan offers three bedrooms and two full bathrooms plus a den for a media room or office space. 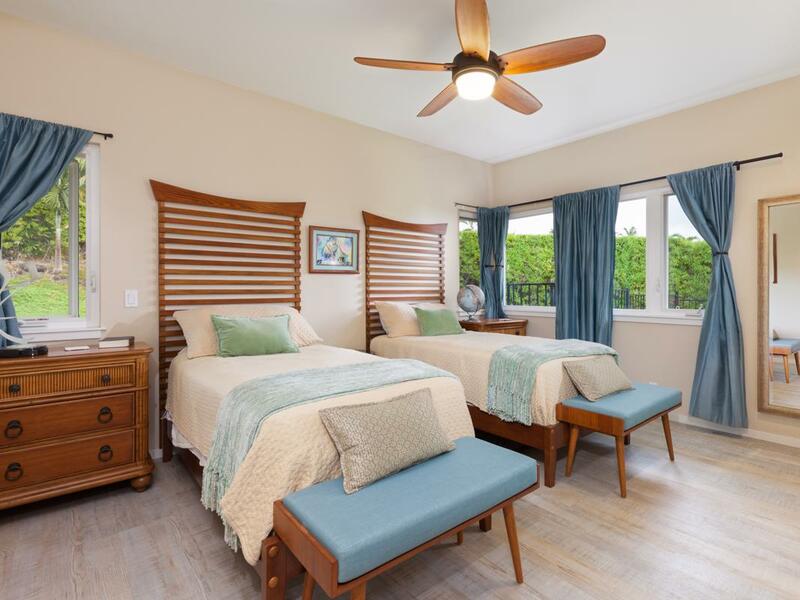 Two guest rooms are situated in the back, providing privacy for the master bedroom. 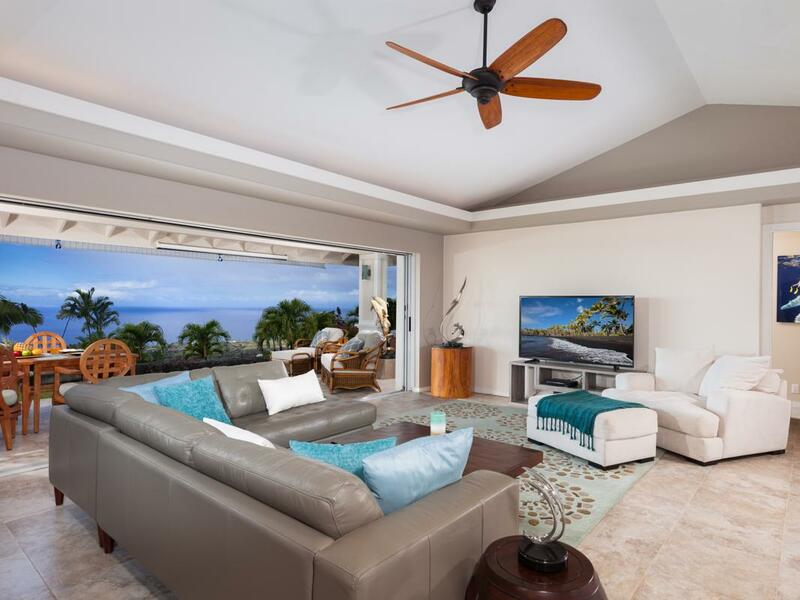 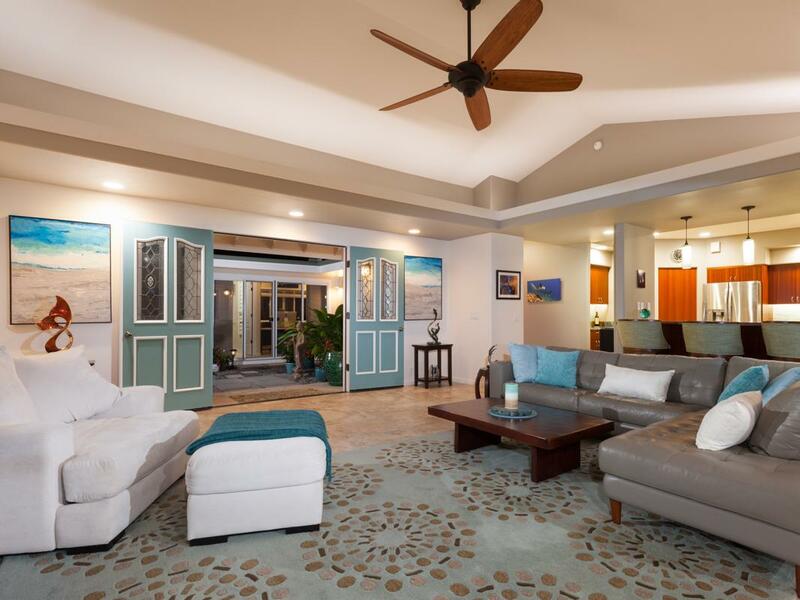 The open and spacious living/great room offers panoramic ocean and sunset views. 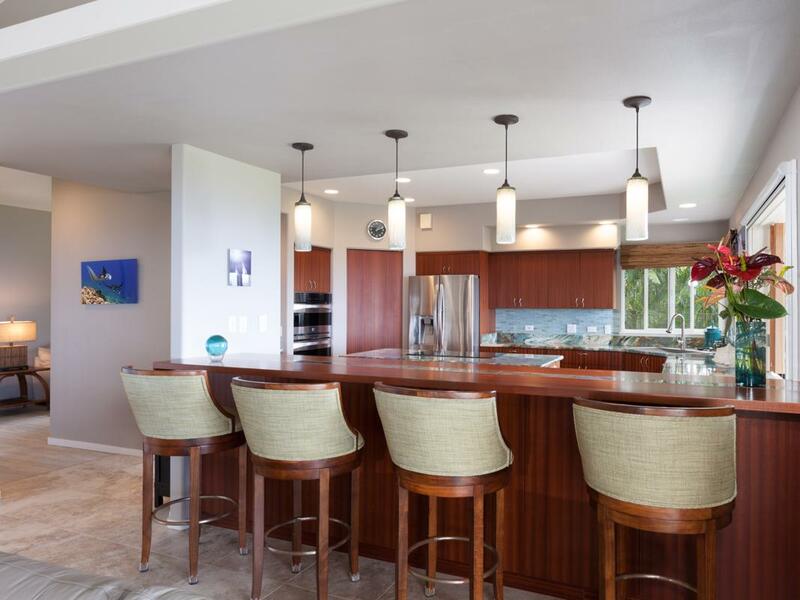 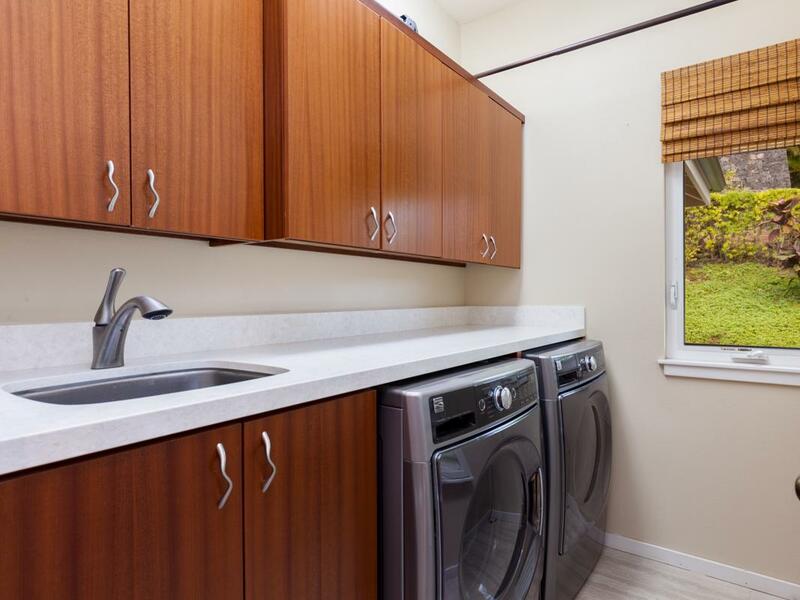 A gourmet style kitchen with stunning Van Gogh granite and beautiful Sapele wood cabinets with many storage spaces is perfect for the discerning chef. 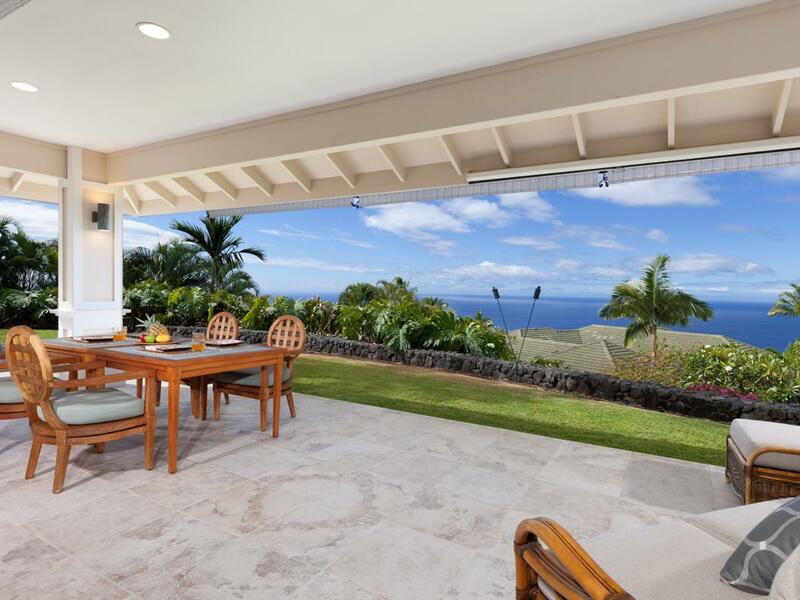 The large covered lanai adds more outdoor living space to enjoy the breathtaking ocean views.